All cars go through ‘refreshes’, slight tweaks that change things up between total redesigns, but not all of them are very exciting – typically they involve some minor design changes and the addition or subtraction of engine options. 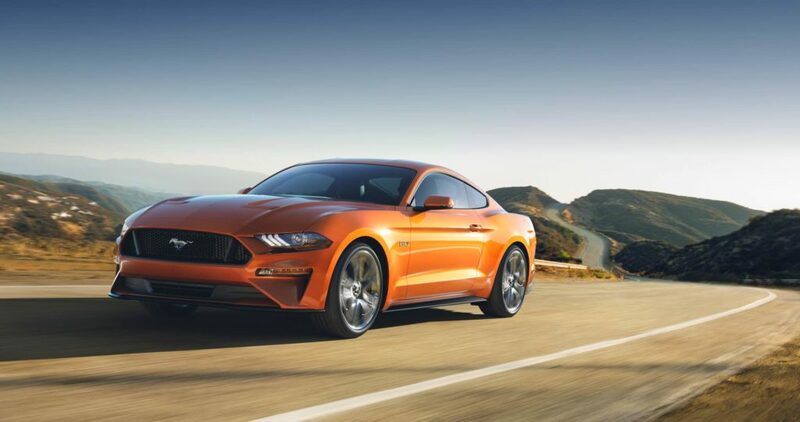 But the Ford Mustang is not your typical car, and its newly-announced refresh is both exciting for car lovers and an important moment in the history of America’s pony car. But the big news for longtime Mustang aficionados lives under the hood: for the first time since the Mustang’s introduction, Ford won’t be offering a 6-cylinder engine. While the V6 has a proud place in pony car history, it represented the lowest trim of Mustang for years, and its retirement could easily be viewed in a positive light; a great horse should be put out to pasture when its racing days are done. To make up for the loss of the V6, the 2018 Mustang will introduce a new and improved version of its 2.3-liter EcoBoost engine, which boasts enough of a power increase that the Mustang’s suspension is being upgraded to handle the additional torque. The V8 will be engineered to rev higher and faster, and the automatic V8 will included a 10-speed transmission developed in conjunction with General Motors – yes, that General Motors! Who said rivals can’t play nice sometimes? We’ll give you more news on the 2018 Mustang refresh soon, but for now, here are some images of the Mustang in one of its three new colors, Orange Fury!